UNITAR offers courses that run throughout the year or several times a year that are free-of-charge and open to the public. For more information about courses offered, please see below. This self-paced course, jointly delivered by UNITAR and IUCN, promotes a dynamic learning approach through interactive lessons and multimedia contents. Participants will understand the nexus between biodiversity, climate change and land-use plans; discover the rights and roles of different stakeholders in the planning and decision-making process; and consider ways to collaborate across national borders. 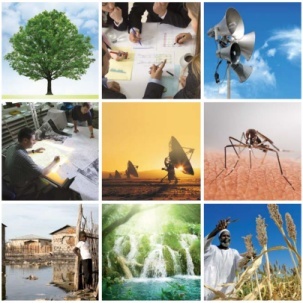 The course is organized in four modules: connecting land-use, climate change and biodiversity; inter-sectoral and inter- institutional collaboration; public participation in decision-making; and regional planning for harmonization and connectivity. It can be completed within 4 months after enrolment. 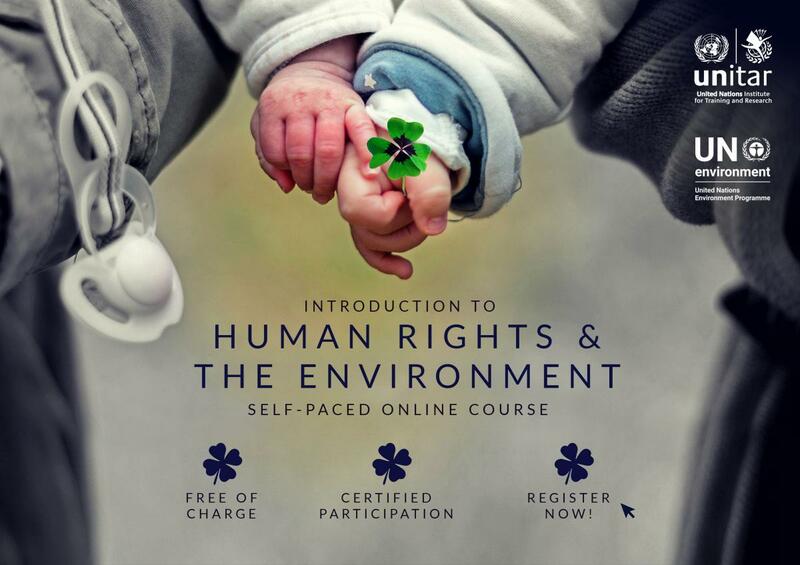 This 3-hour self-paced course provides a general introduction to the relationship between human rights and the environment. Participants will gain basic knowledge for the application of human rights to environmental issues. Procedural and substantive obligations relating to the environment will be reviewed and some good practices presented, such as examples of national constitutions that have incorporated a right to a healthy environment. 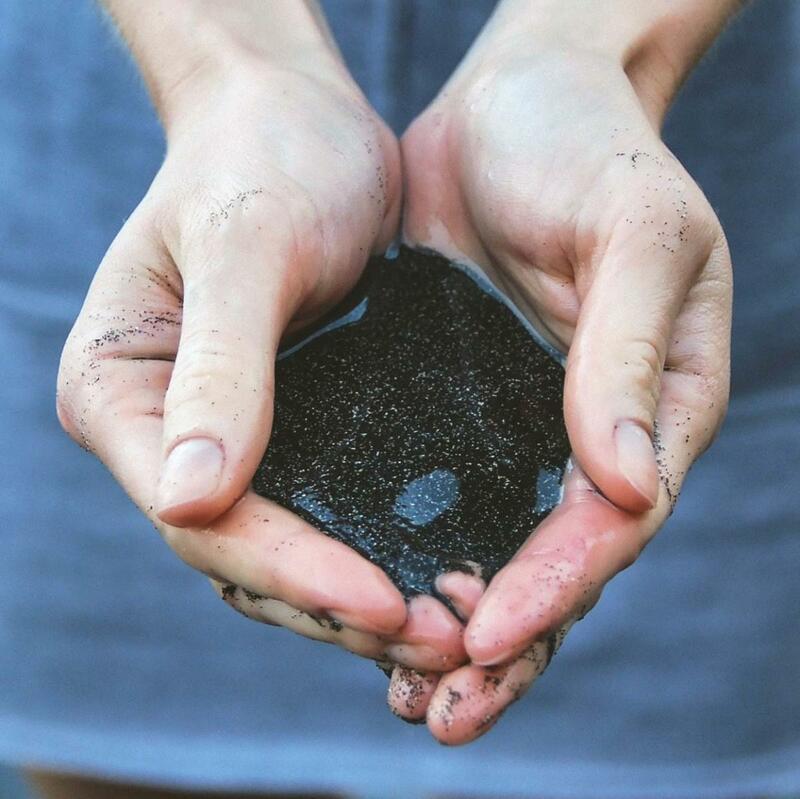 All stakeholders interested to learn about the main aspects of the relationship between Human Rights and the Environment can benefit from the knowledge gained through the course. Upon successful completion, participants will receive a joint certificate UNITAR – UN Environment. This course is a collaborative effort between UNITAR and UN Environment, which expands the learning portfolio available on InforMEA platform. 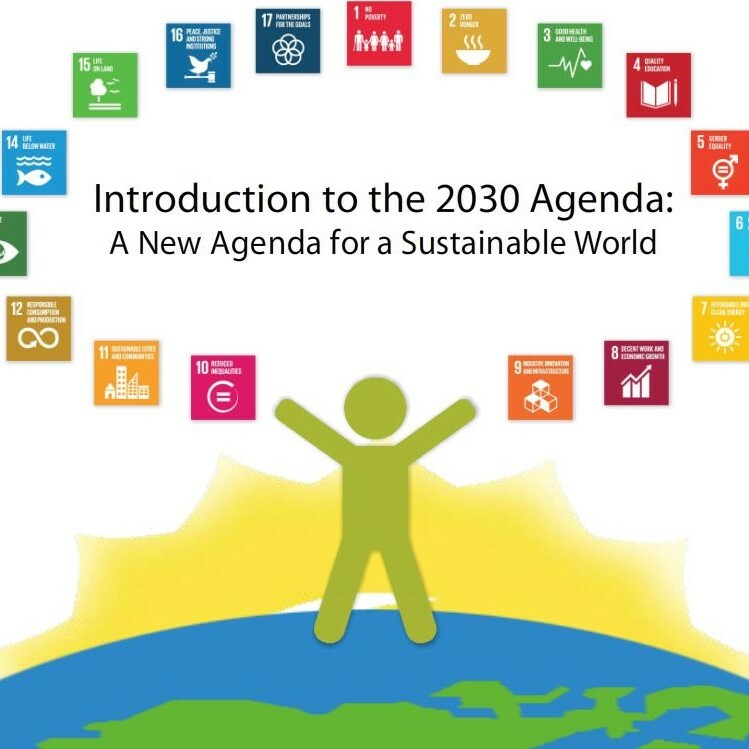 The MOOC on “Introduction to the 2030 Agenda: A New Agenda for a Sustainable World” is designed to improve general awareness about the 2030 Agenda and Sustainable Development Goals for policy-makers and the general public, especially youth. Participants can follow the course at their own pace, and can choose to have a certificate provided if they have met the certification requirements. 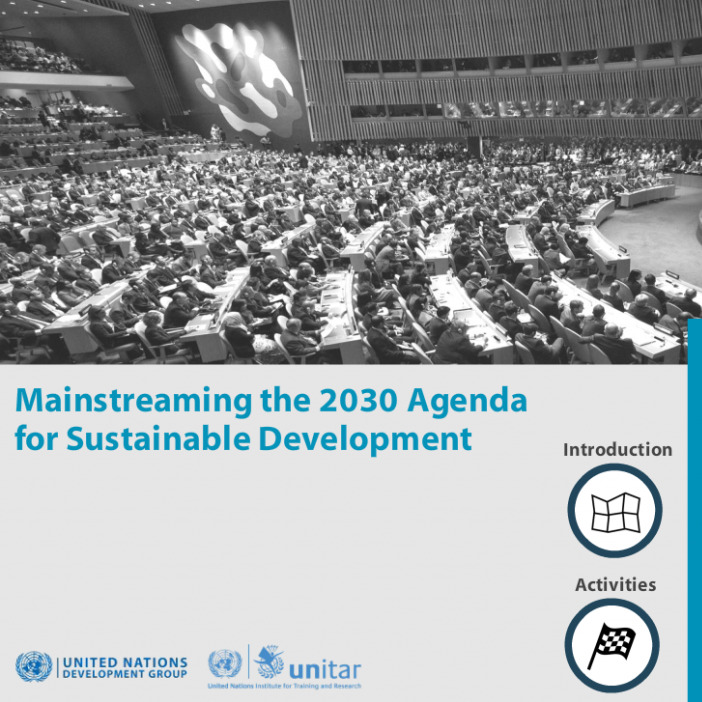 The e-tutorial provides an in-depth and wide-ranging guidance on how to mainstream the 2030 Agenda for Sustainable Development into each national strategies and policies. It is based on the UNDG Reference Guide "Mainstreaming the 2030 Agenda for Sustainable Development". 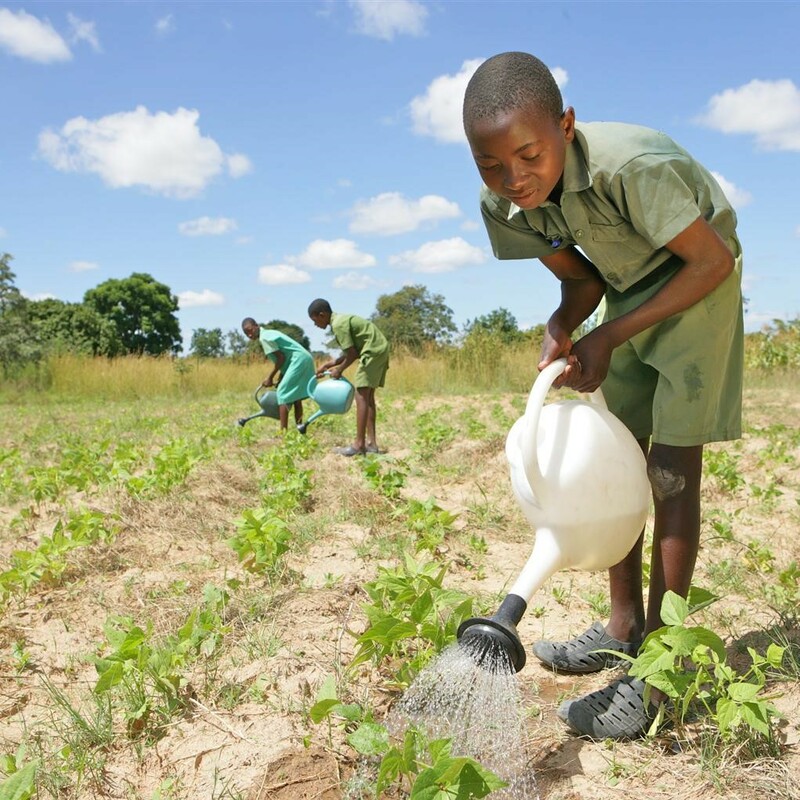 Case studies introduce innovative examples of how some countries have begun to develop and use relevant tools, and activities offer an opportunity to gain a better understanding and useful skills. Although this training tool has been primarily designed for government officials and development practitioners, it is also publicly available. This online tutorial, developed in collaboration with GFCS Office, illustrates the importance and benefits of climate services for decision-making in several thematic areas. It also presents the Global Framework for Climate Services, its objectives, components and priority areas. The tutorial is designed for national policy-makers, but it is useful also for practitioners and the general public. Materials include video interviews with experts and short self-assessment exercises to test your knowledge. The aim of this advocacy presentation is to raise awareness for and increase understanding of unarmed civilian protection (UCP). It starts by explaining the need for UCP, followed by an introduction to its key principles and methods, and finally describing how it fits into wider protection efforts and global discourses. Conflict series - 1. What is a conflict? The course is a self-guided, self-paced, web-based course that is on-going and can be accessed at any time. The material is presented in an interactive visual and text format with web-based reference resources. Multiple choice quizzes at the end of each lesson serve a dual function of assessing and evaluating the students’ understanding and retention and provide a further didactic function by reviewing the content. The conflict series is an open, self-paced course meant to provide an introduction to conflict studies and more advanced courses in conflictology. The goal of this chapter is to give the learner a basic understanding of the importance of conflict analysis, and a set of tools and methods to start conducting their own. What is Gender? The term gender has become central in contemporary literature about development, security and conflict. 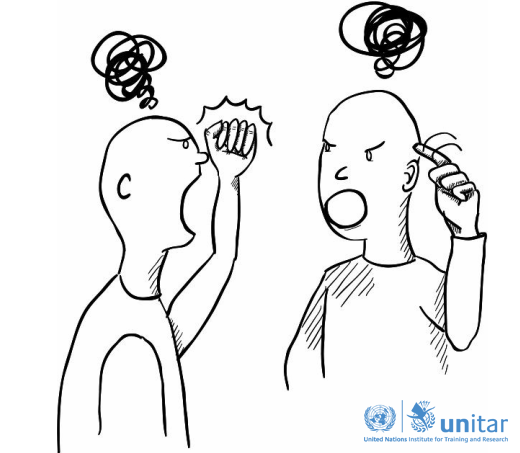 It is often invoked in post-war contexts in relation to the disproportionate and unequal effects of war on men and women. 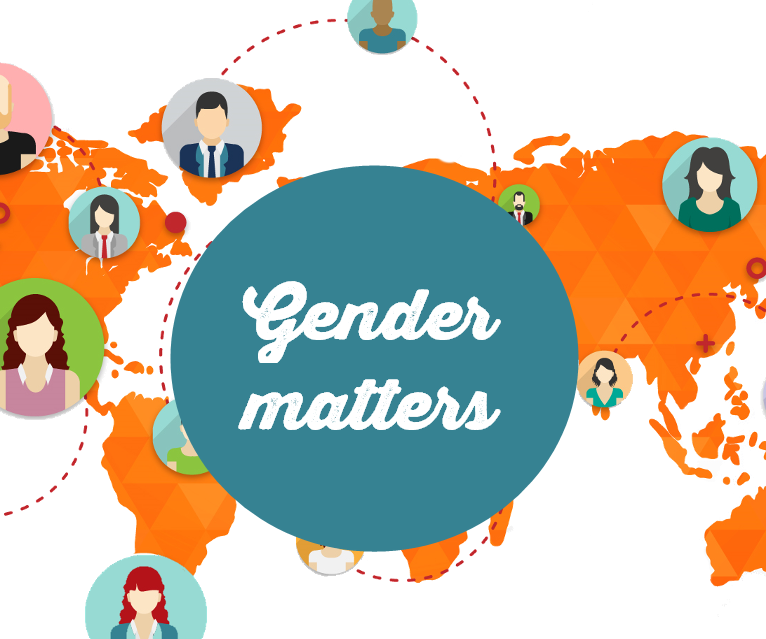 But what do we mean by the term gender, especially when we are referring to individuals and relations at local and global levels? This course offers various lenses through which you can look at the complex concept of gender and the inequalities that exist in your environment. 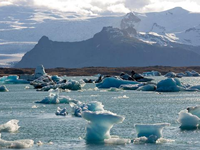 This course provides “everything you need to know” about the basics of climate change, from climate change science to governance. It contains 6 modules with each module taking about 2 hours to complete. You will need to pass a short quiz after each module to receive your certificate from UNITAR. The course is available in four languages: English, French, Spanish and Chinese. 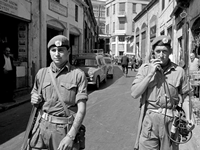 This course offers an overview of the history of UN peacekeeping from the founding of the United Nations in 1945 up to present day and presents current trends in peacekeeping that may shape the future. 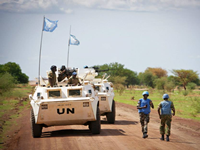 The goal of this course is to provide a panoramic overview of the pivotal events in the history of UN peacekeeping that have shaped its present form. 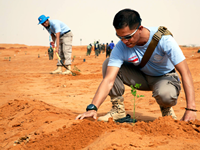 With a view to avoid and minimize the environmental impacts of peacekeeping missions, DPKO and the Department of Field Support (DFS) adopted an Environmental Policy for UN Field Missions in June 2009. The goal of the module is to increase general awareness of key environmental and natural resource concepts to all peacekeeping staff. This training course focuses on the environment and natural resource management in a post-conflict context. It is a general awareness training that targets all military, civilian and police personnel and should be completed either pre-deployment or once in-mission. Over 20% of the world’s population currently lives in conflict affected areas and fragile states. In many of these places, natural resources and their governance play a key negative role in both the conflict and the fragility. In fact, since 1990 at least 18 violent conflicts have been fuelled by the exploitation of natural resources. The main objective of this training program is to raise awareness about the links between natural resources, conflict, peacekeeping and peacebuilding among relevant peacekeeping staff and those working on planning, drafting and monitoring of implementation of peacekeeping mandates. 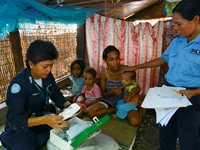 Security sector reform (SSR) is a nationally-owned process aimed at ensuring that security and justice providers are accountable to the state and its people; deliver effective, efficient and affordable security and justice services that meet the people’s needs; operate within a framework of good governance, rule of law, and respect for human rights; and are legitimate. The goal of the course is to offer an overview of the concept of SSR, highlight the key SSR actors and their roles and outline the implementation of SSR programmes. 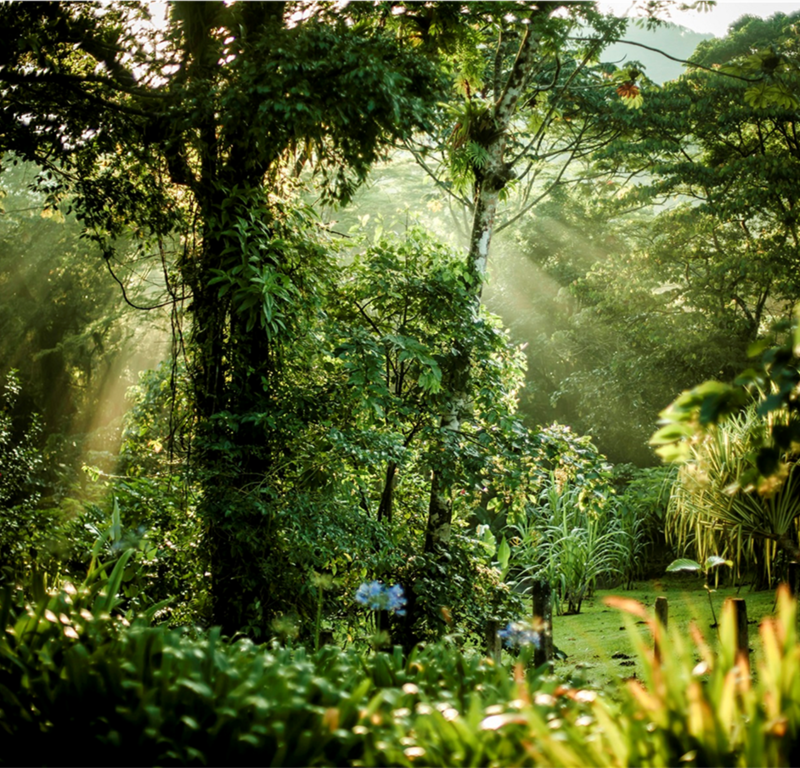 Reducing Emissions from Deforestation and Forest Degradation (REDD) is an initiative aimed at creating a financial value for the carbon stored in forests; offering incentives for developing countries to reduce emissions from forested lands and invest in low-carbon paths to sustainable development. As a part of the REDD+ academy, this e-course provides a State of the Art overview of REDD+ planning and implementation, developed by some of the world’s leading REDD+ experts. The course contains 12 modules with each module taking about 2 hours to complete. You will need to pass a short quiz after each module to receive your certificate from UN-REDD and UNITAR. 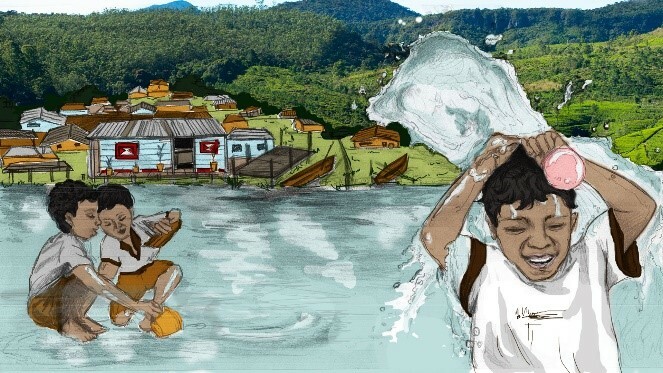 This course presents how children and youth can be impacted by climate change, how their resilience to climate change can be strengthened, and how they can act on climate change. It contains one module which takes around 2 hours to complete. You need to pass a short quiz to receive your certificate from UNICEF and UNITAR. The course is available in English, French and Spanish. 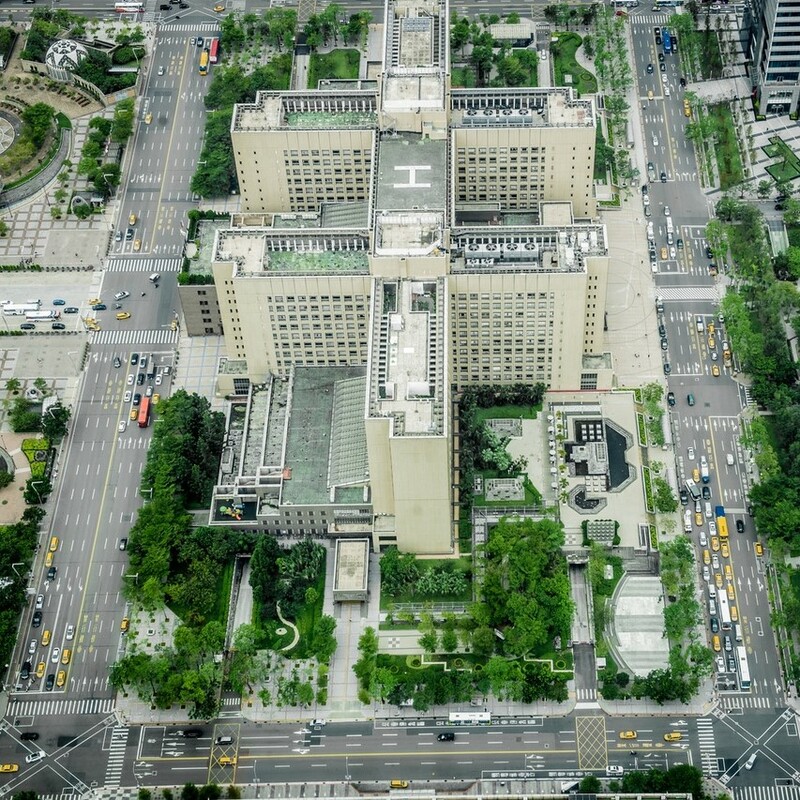 This course focuses on climate change in urban areas, covering how cities are affected by climate change, how they contribute to it, as well as how they plan for it. It contains one module which takes around 2 hours to complete. You will need to pass a short quiz after each module to receive your certificate from UN-Habitat and UNITAR. The course is available in English, French and Spanish. This course provides an introduction to the health challenges, as well as the opportunities, that can by associated to climate change. It contains one module which takes around 2 hours to complete. You will need to pass a short quiz after each module to receive your certificate from WHO and UNITAR. The course is available in English, French and Spanish. 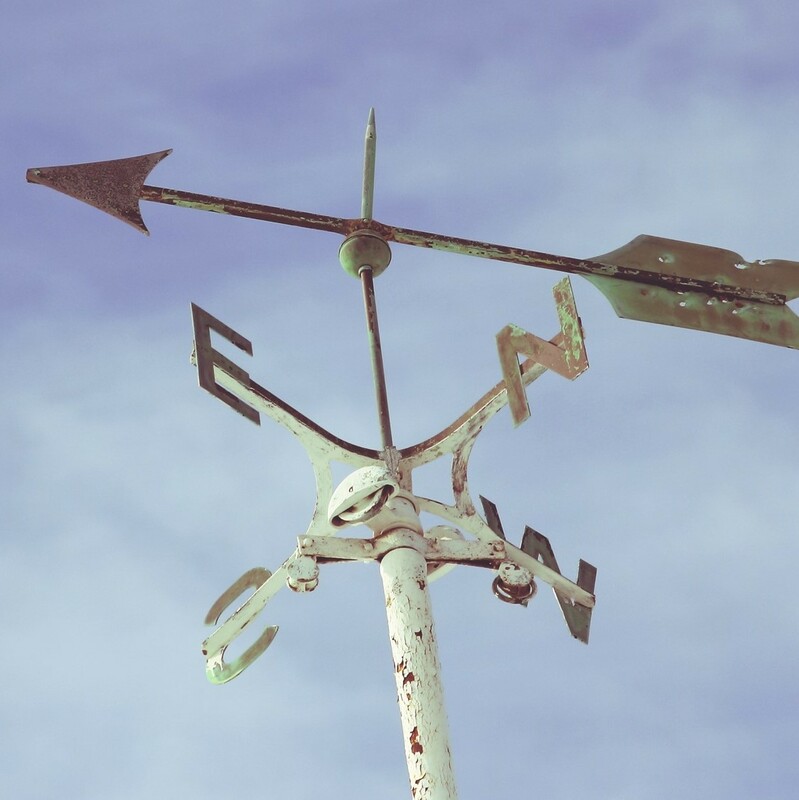 This tutorial introduces climate information and services and their application in decision-making. It specifically aims to build capacities of African decision-makers. The tutorial is divided into three sections, and it will take around 30 minutes to complete all sections. 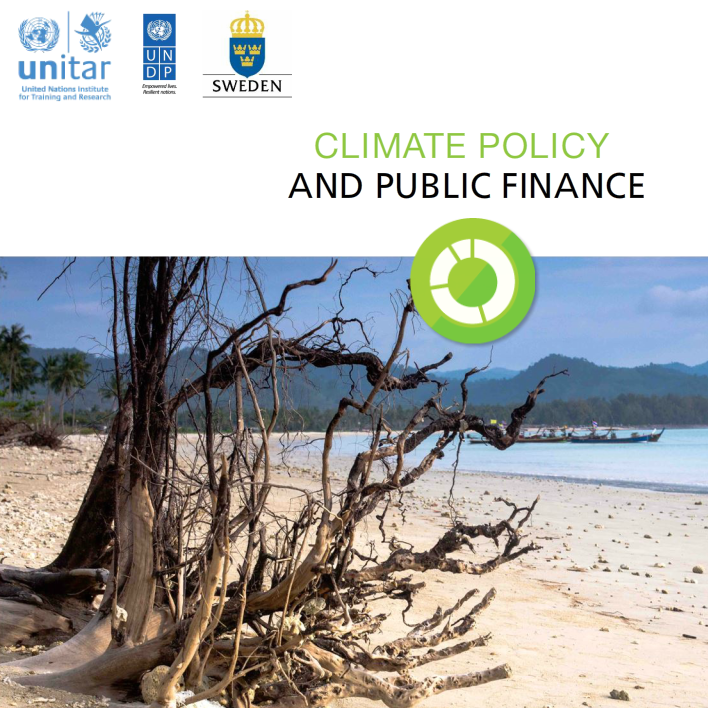 This tutorial aims to build understanding of the links between climate policy and public finance by using examples from Asia-Pacific region. The tutorial is divided into five sections, and it will take around 30 minutes to complete all sections. The course is available in English, Khmer and Thai. 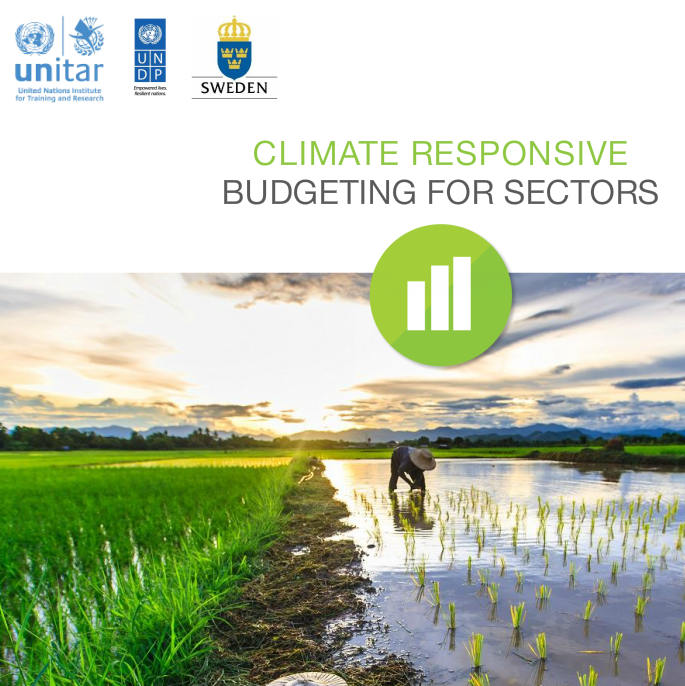 This tutorial introduces how governments can respond to the climate change challenge through better budgeting, which integrates climate change risks and opportunities into budget preparation. The tutorial will take around 30 minutes to complete. The course is available in English and Khmer.